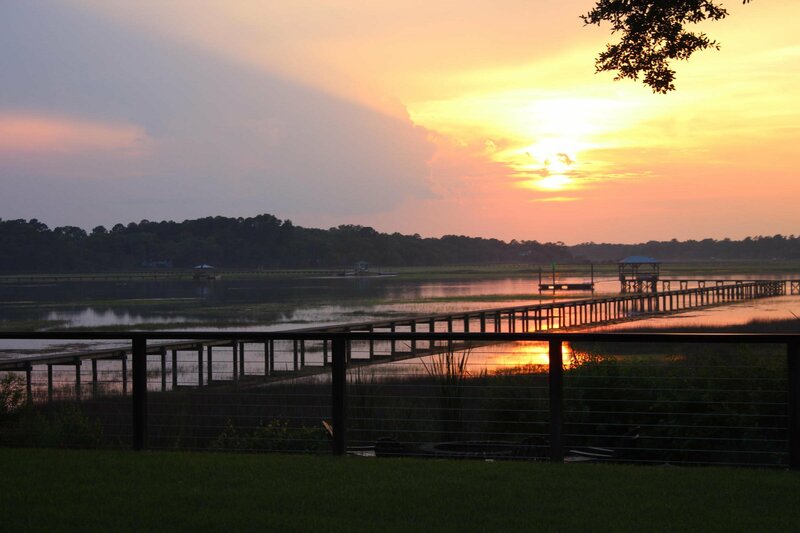 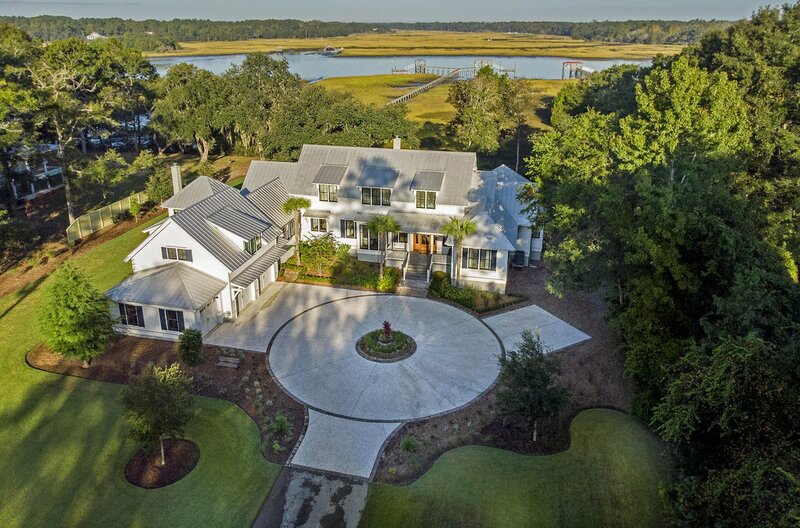 Reality exceeds Expectations upon arriving at 3977 Seaboard Way on Johns Island. 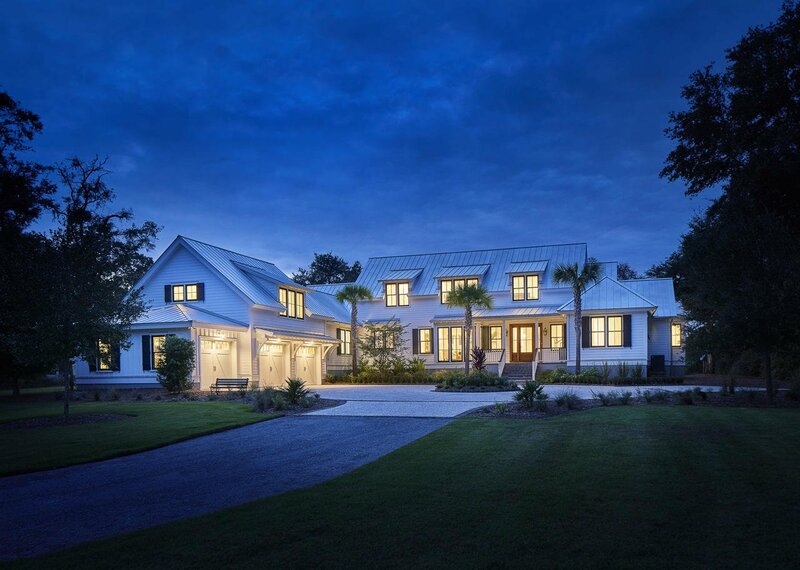 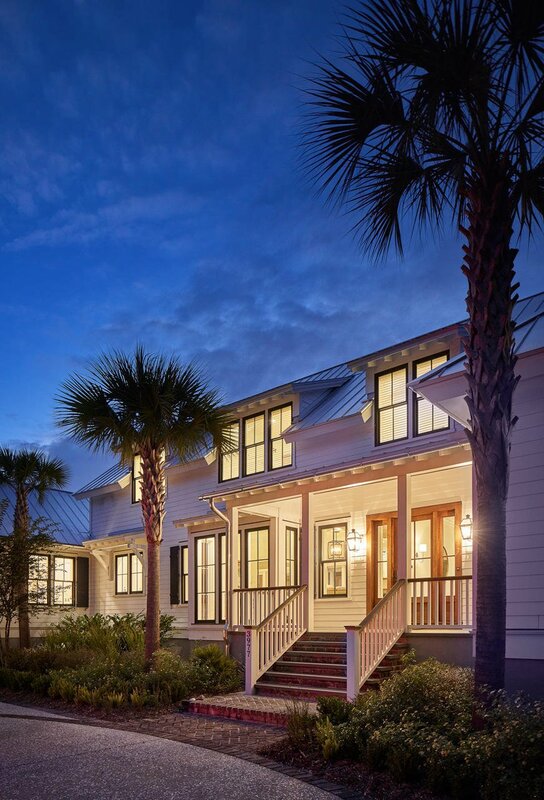 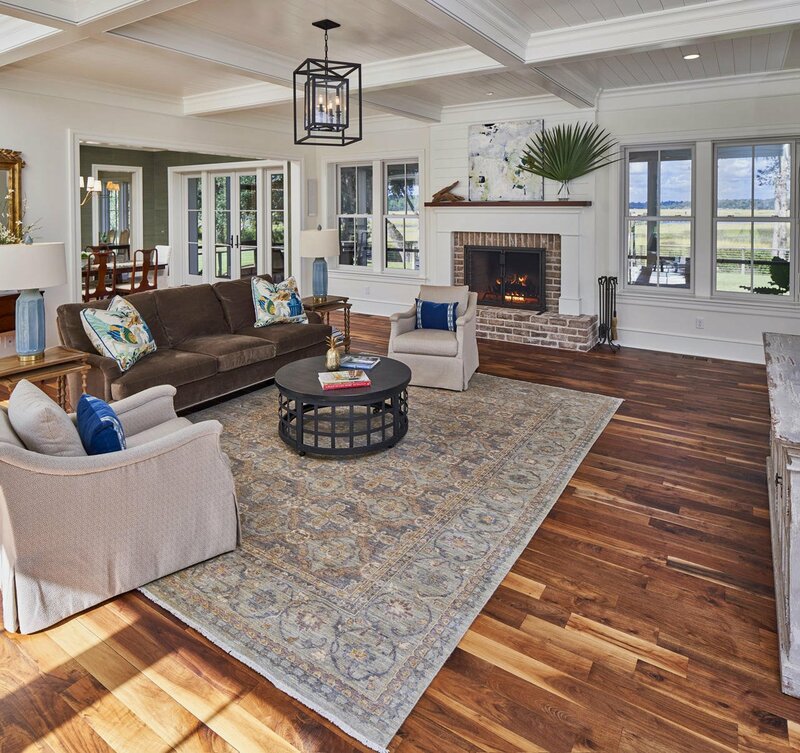 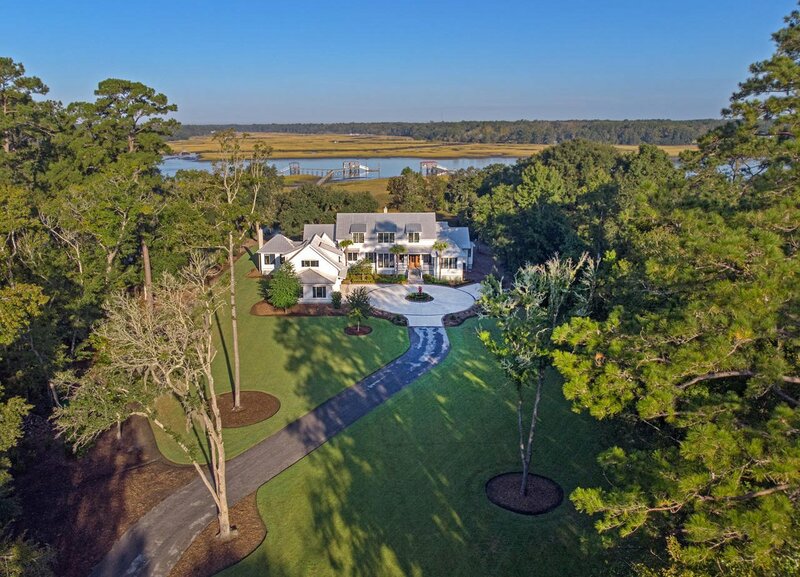 Located just 20-25 minutes from the heart of historic Charleston; this true sea island estate offers uninterrupted views of the Stono River, breezy marsh grasses, & magazine worthy sunsets coupled with superior craftsmanship. 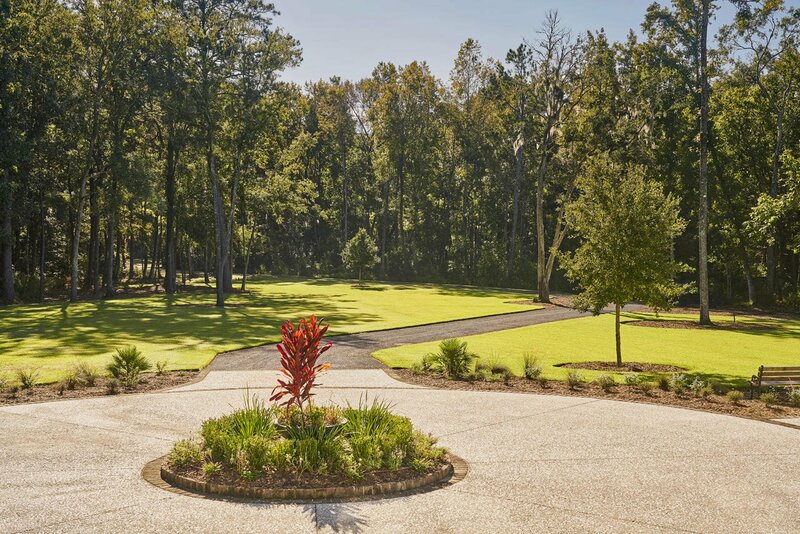 At 5800 sq. 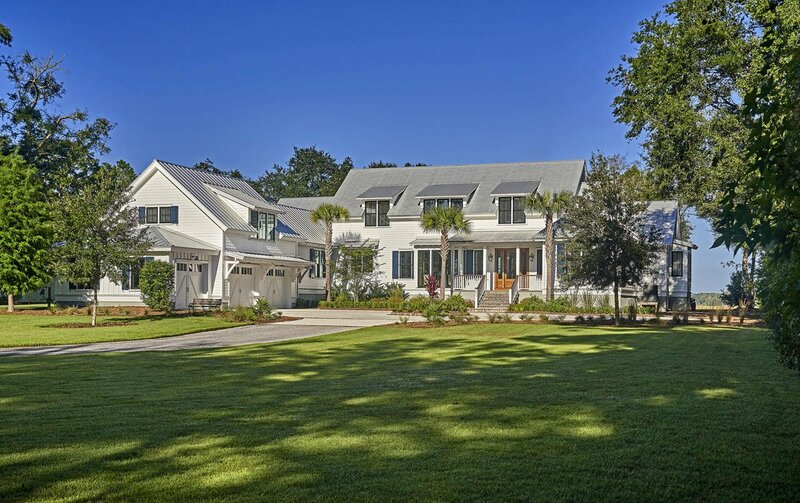 feet with 5 bedrooms, 7 bathrooms, spacious screened porch, outdoor kitchen & a 3 car garage on just over 7 acres, this stunning home was built for today, tomorrow & generations to come. 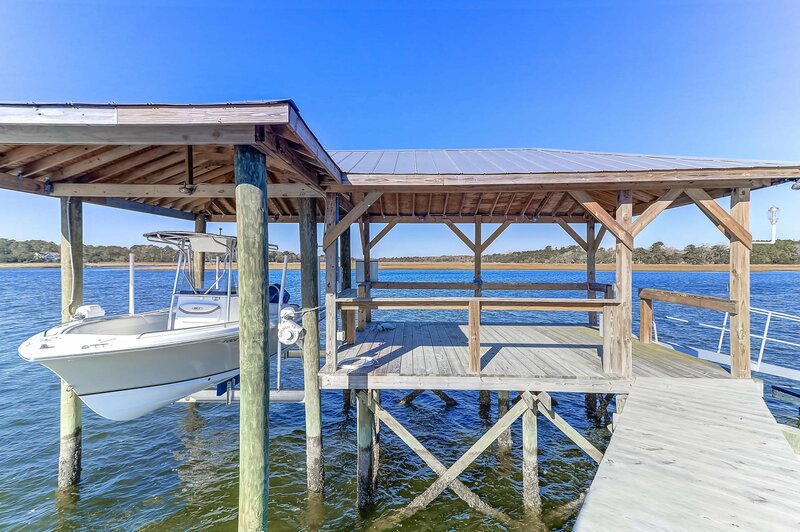 Enjoy the island lifestyle with deep water access year-round; covered pier head with 10,000 lb. 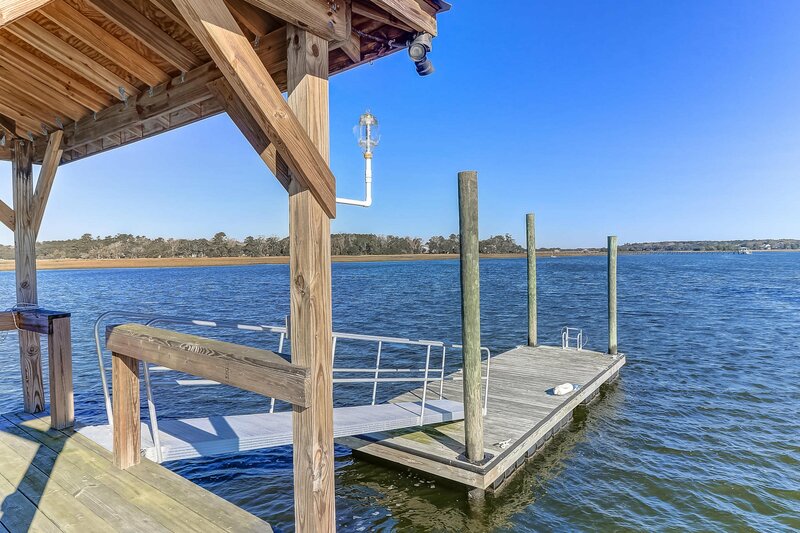 lift, floater dock & 6-8 feet of depth at low tide. 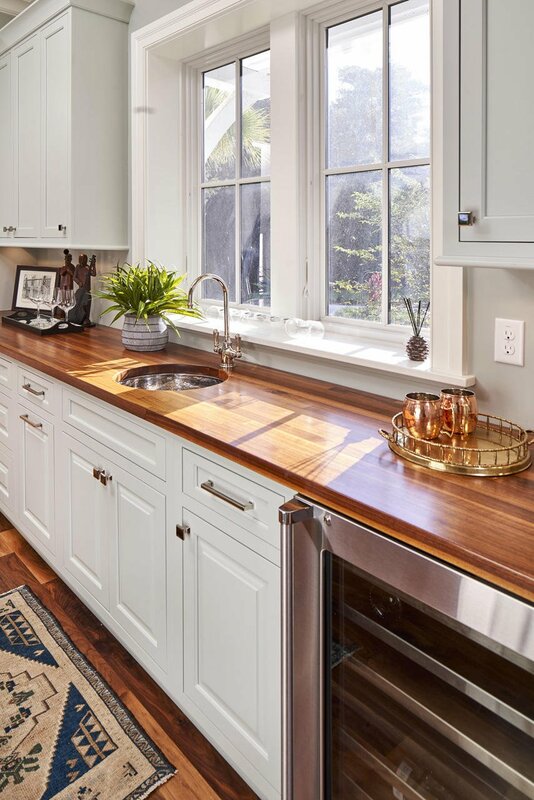 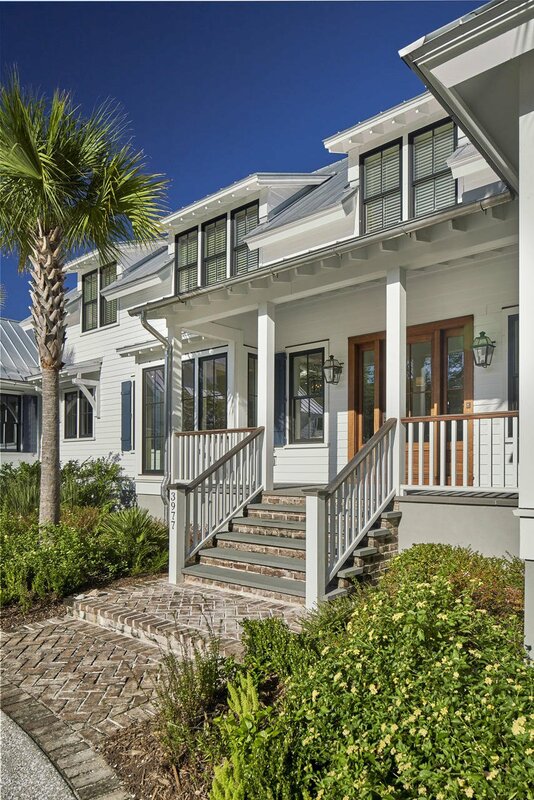 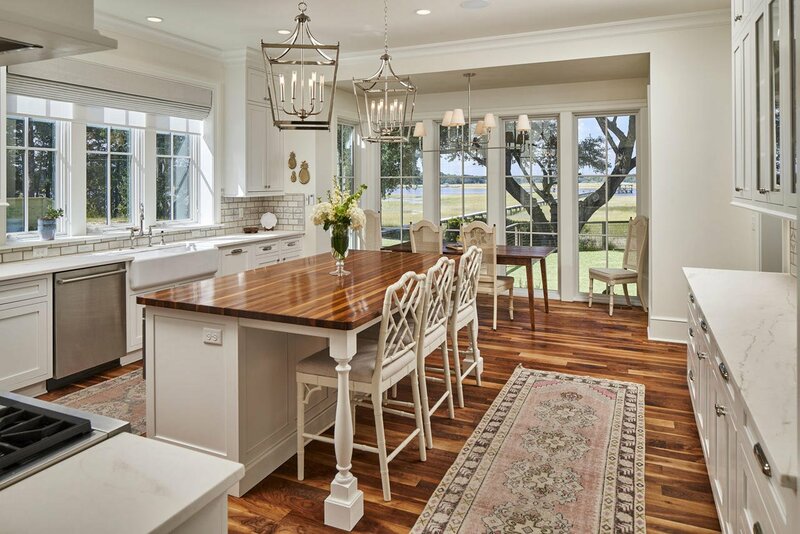 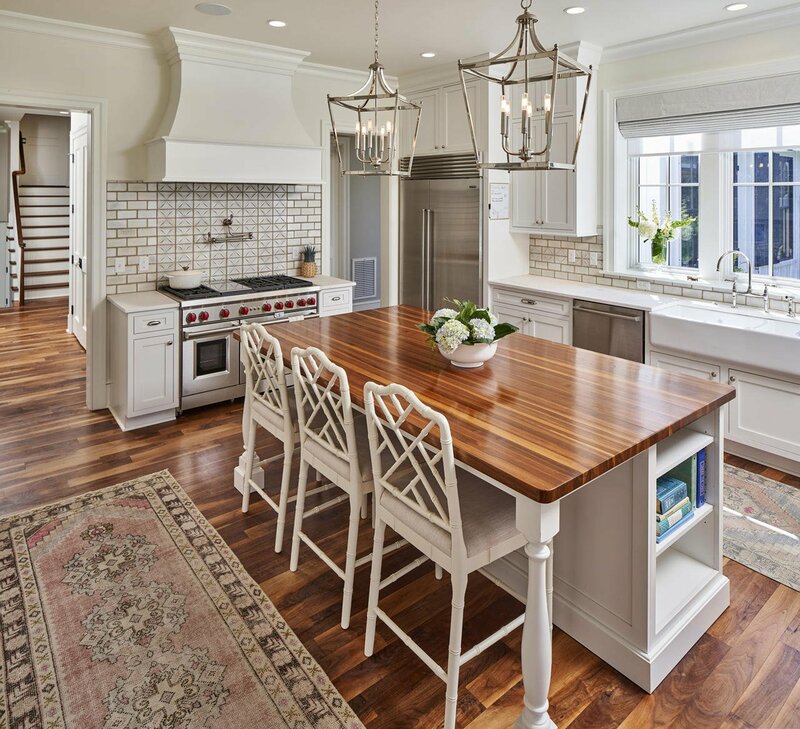 Gorgeous custom features adorn the interior & exterior of this once-in-a-lifetime sea island estate along with a kitchen outfitted for epicureans. 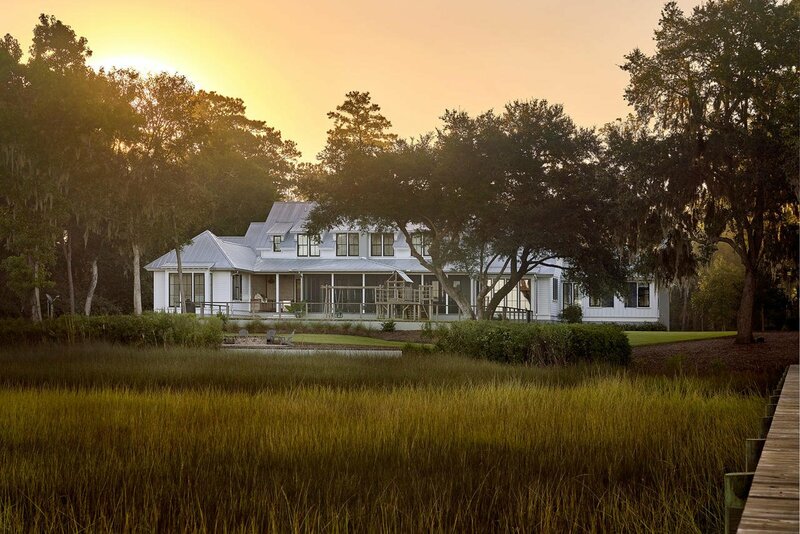 Built for generations to come, this home was constructed with Insulated Concrete Form (ICF) construction....solid cement exterior walls for energy efficiency and structural stability. 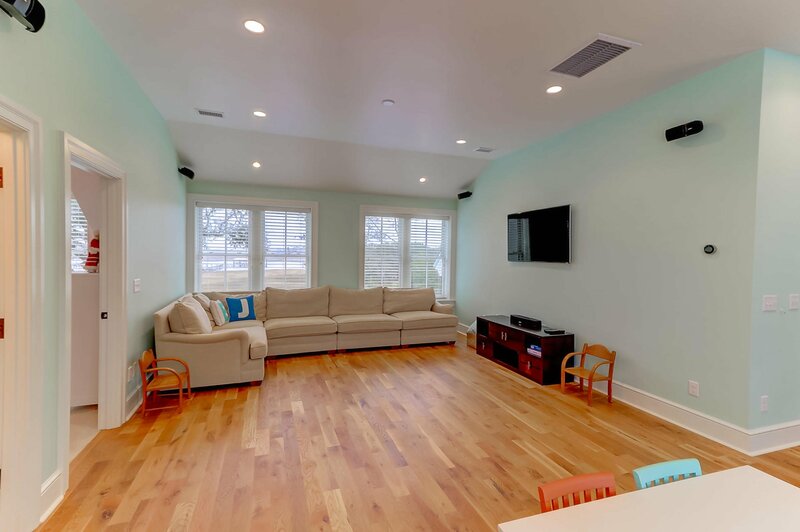 Additional energy related features include a high efficiency HVAC system with two whole house ERVs, an encapsulated crawlspace with a dedicated dehumidifier, spray foam insulation throughout the attic, NEST thermostats, two Navien tankless water heaters & a whole house generator. 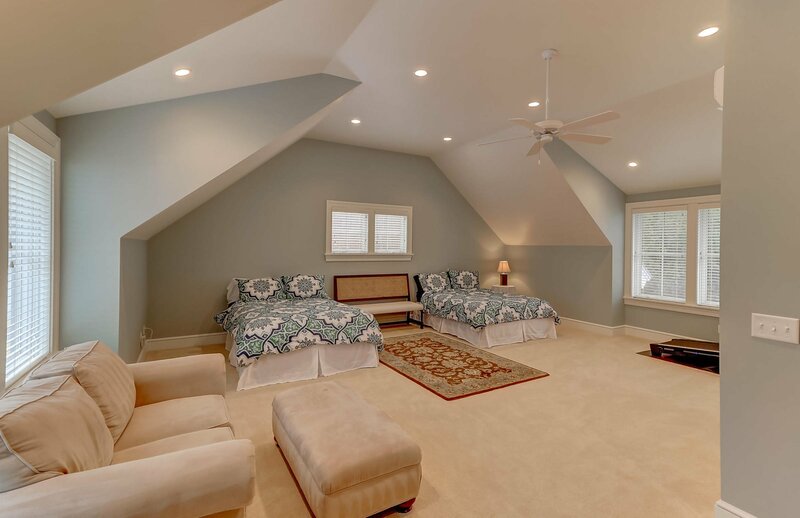 The results of this attention to detail are power bills averaging approx. 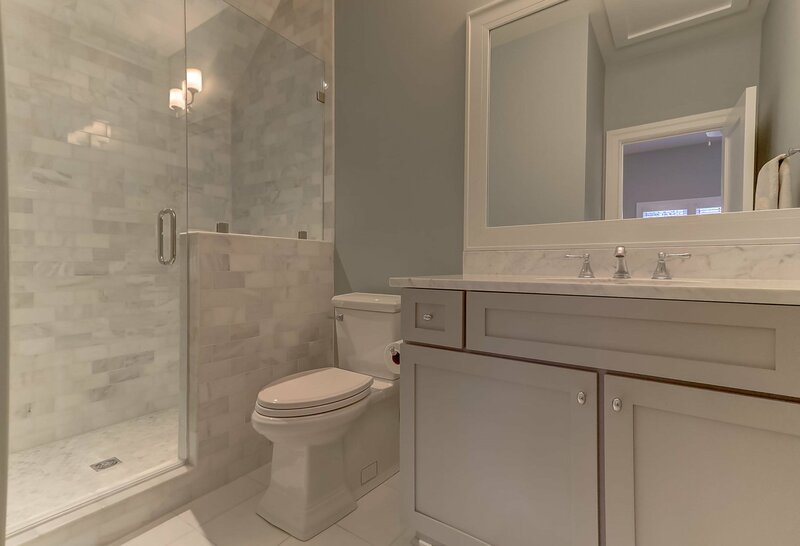 $275 per month for the last year for 5800 sq. 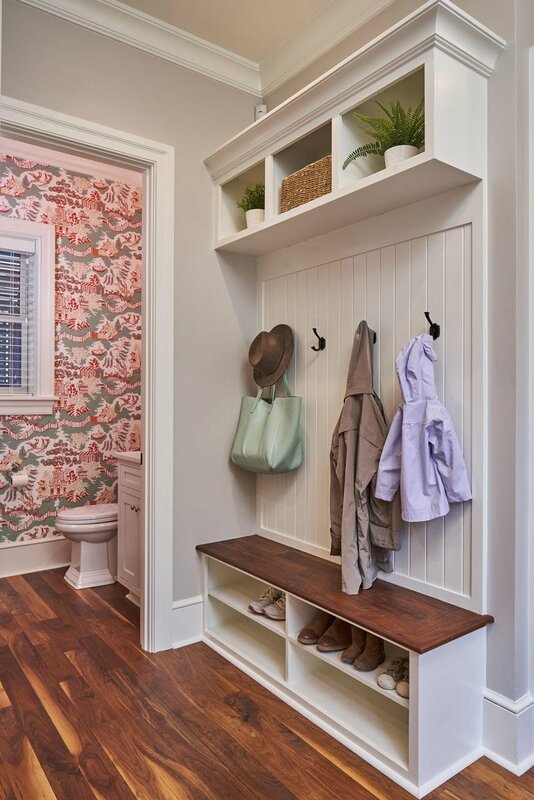 foot home. 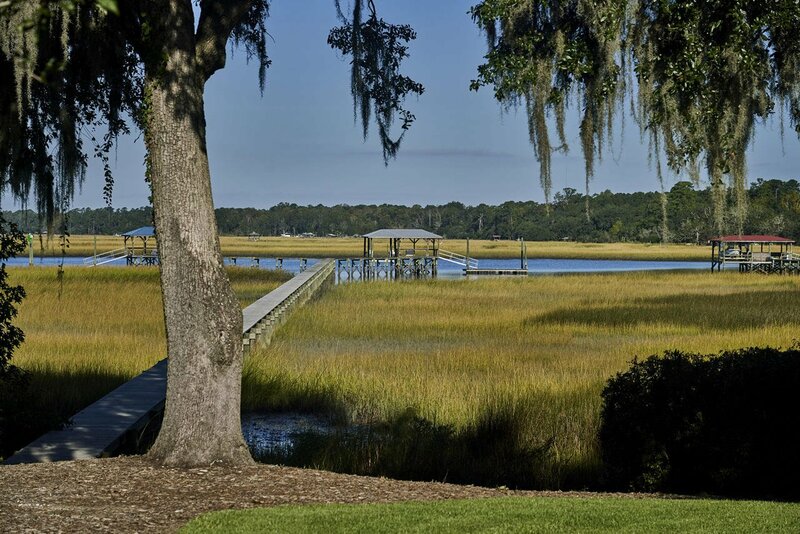 Sunset dinners, fishing & crabbing off the dock and boating throughout the Lowcountry is all in reach for the next owner of this spectacular home. 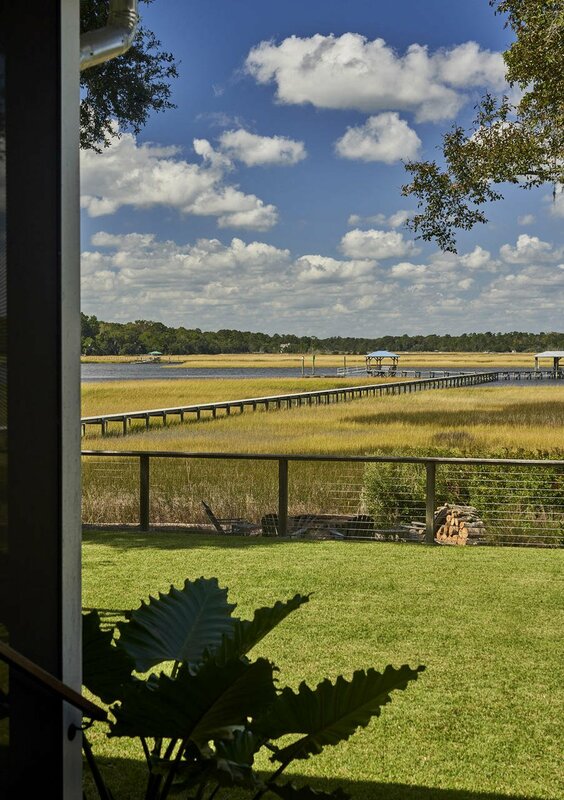 The winding view up Seaboard Way sets expectations high. 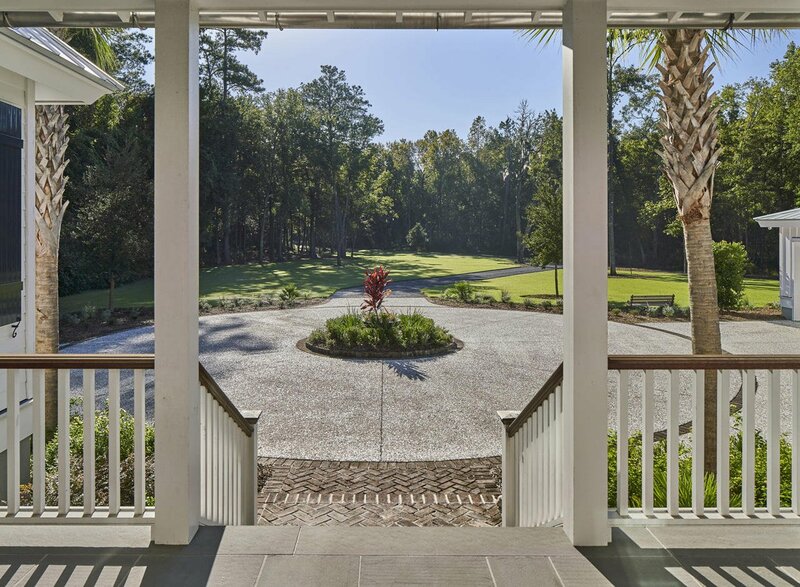 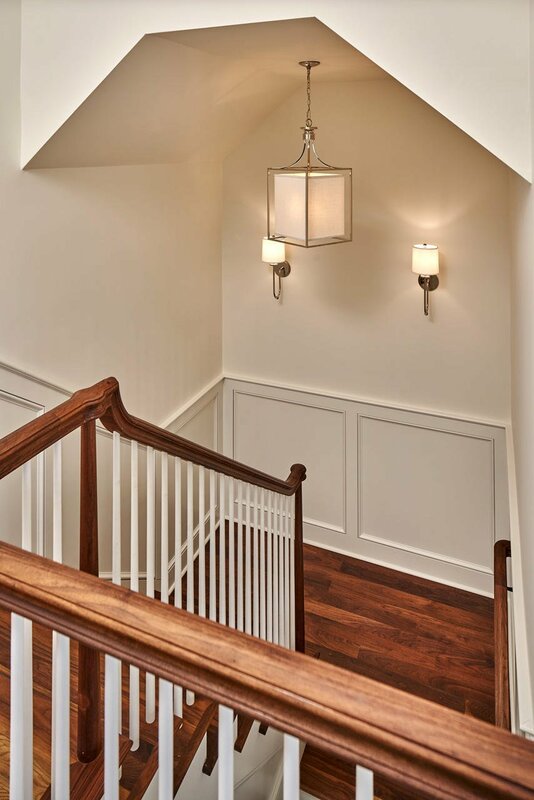 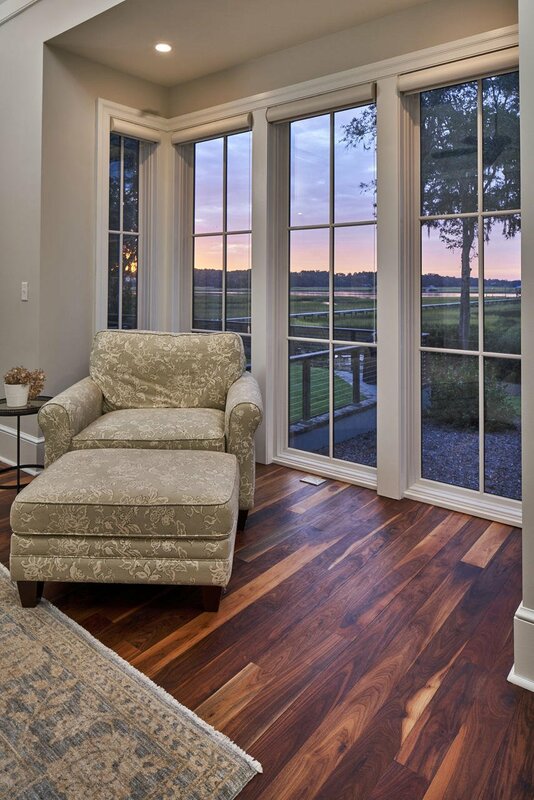 Greeted by bluestone porches and a custom-built solid wood front door with Rocky Mountain hardware opens to the grand foyer of the home with stunning views of the Stono River. 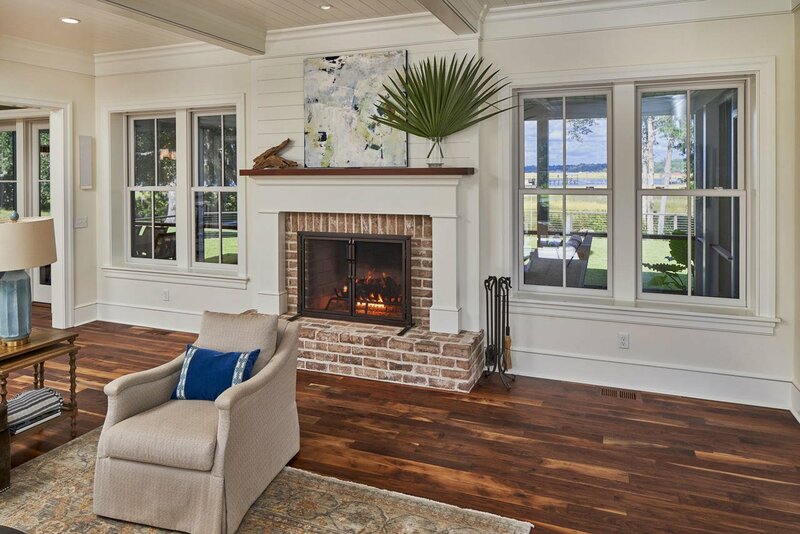 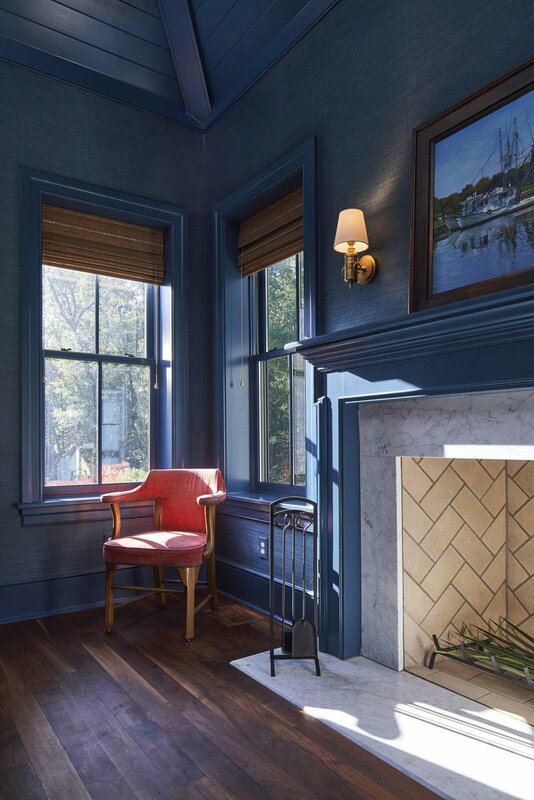 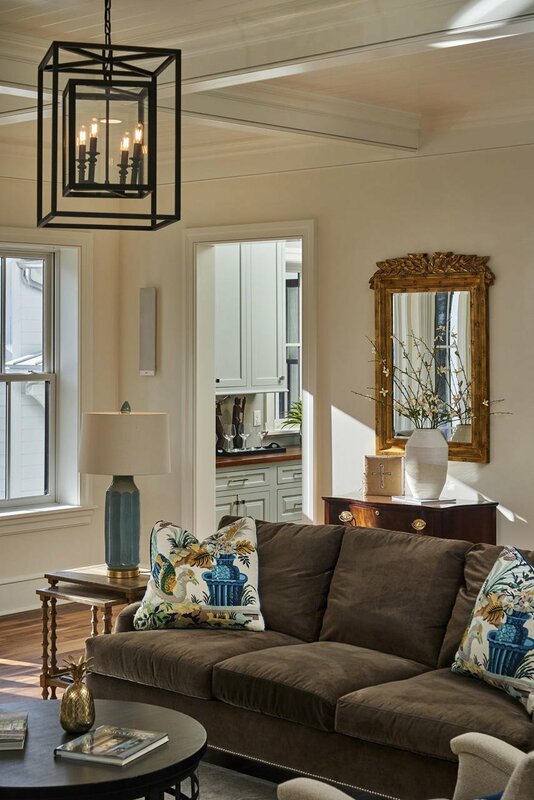 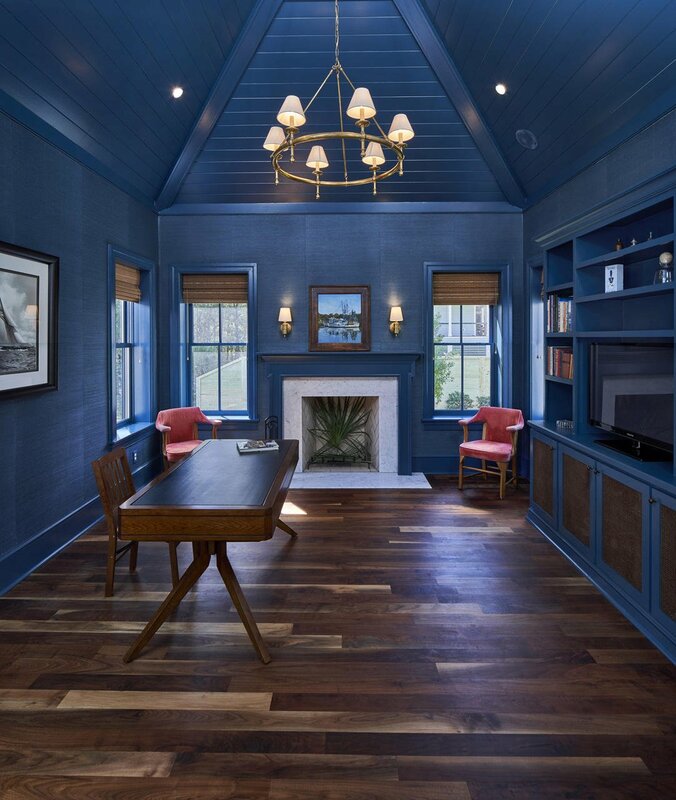 The airy living room is welcoming and features coffered ceilings, Charleston style brick fireplace and walnut floors that span the first floor. 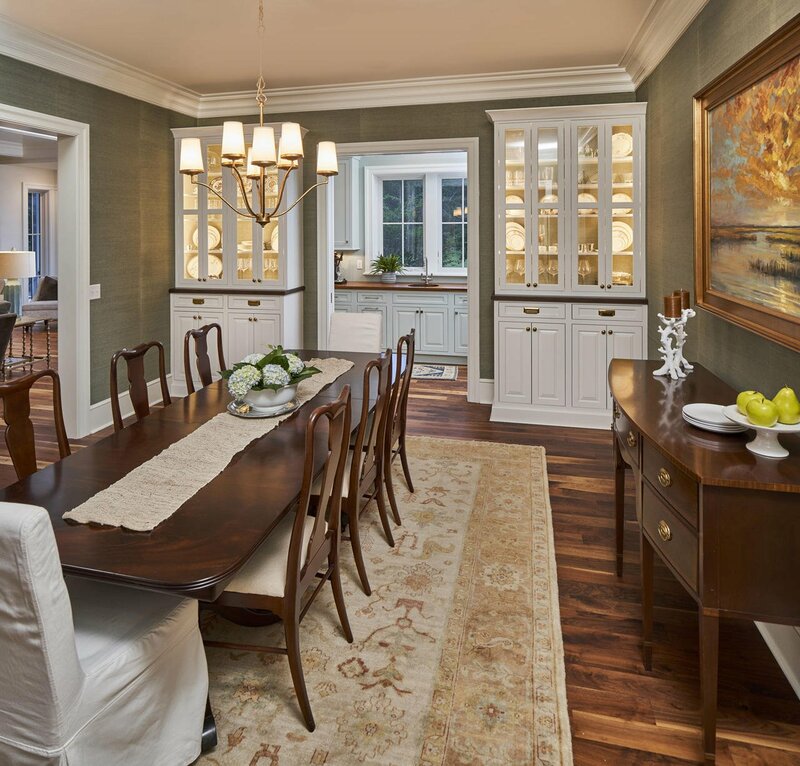 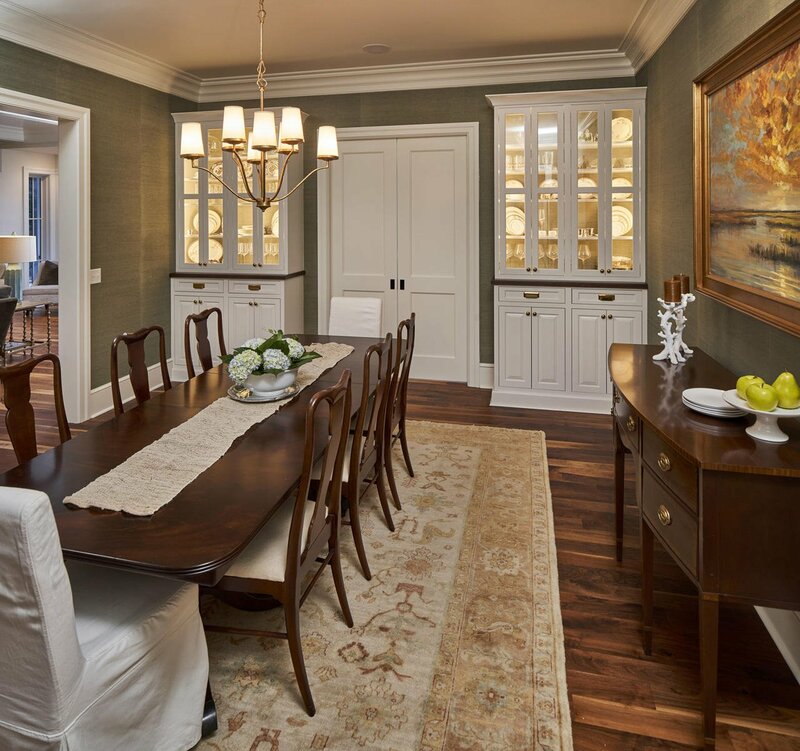 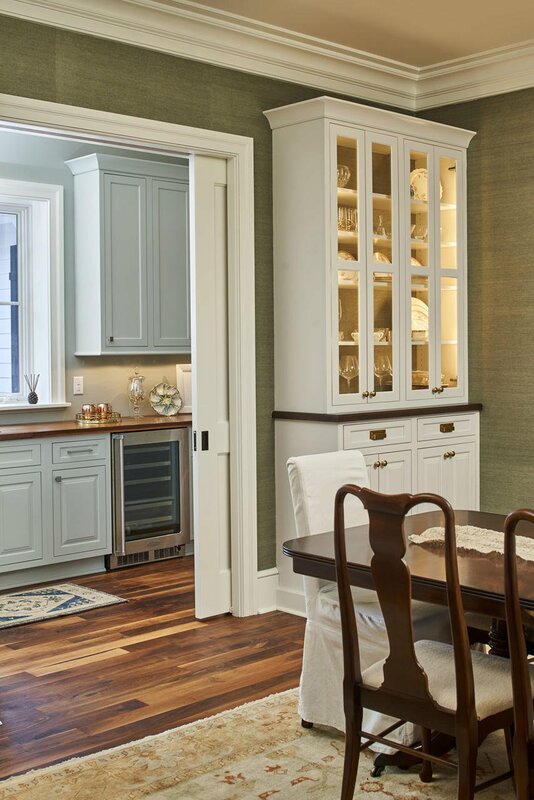 Dinner parties await in the formal dining area with built-in china cabinets and treat your guests with beverages from the adjacent butler's pantry. 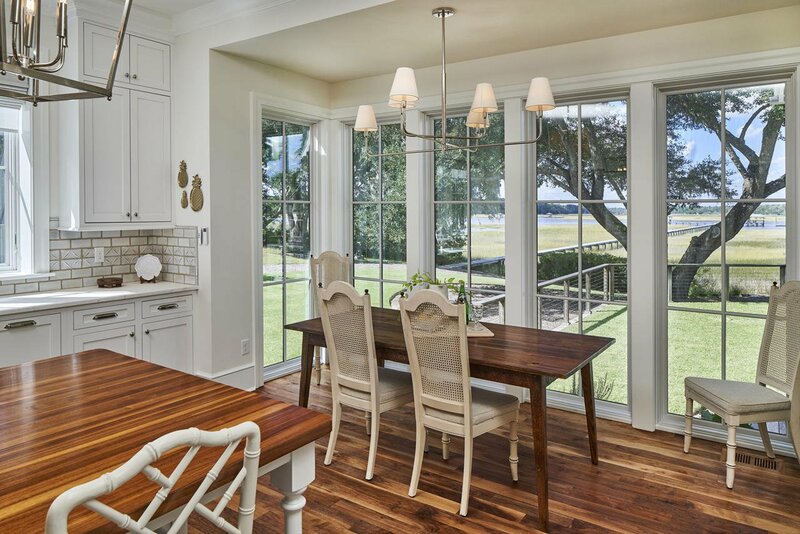 The Chef's kitchen is outfitted Wolf & Sub-Zero appliances, honed Calacutta Arni hones marble counters, hand-made Ann Sakes tile backsplash and sweeping floor to ceiling windows- perfect for admiring the grand oak cascading over the Stono River views. 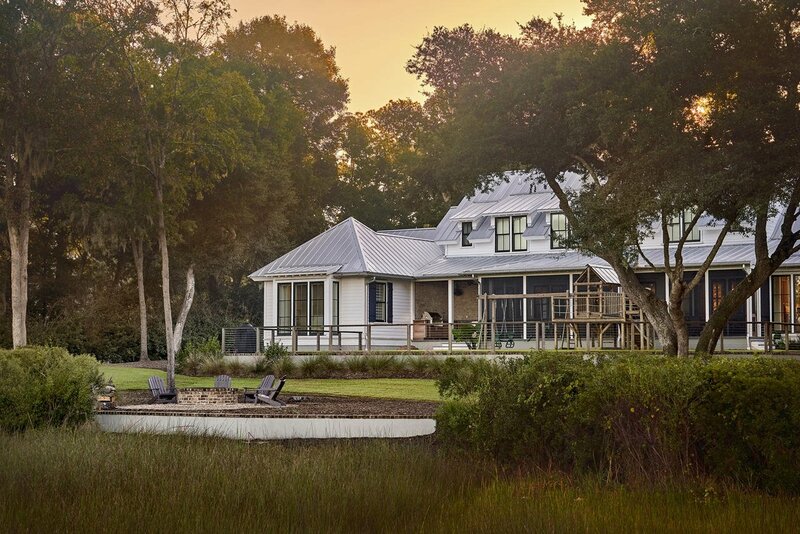 Located on the East side of the home is the master bedroom suite that is situated to enjoy the sunrises over the marsh & waterway. 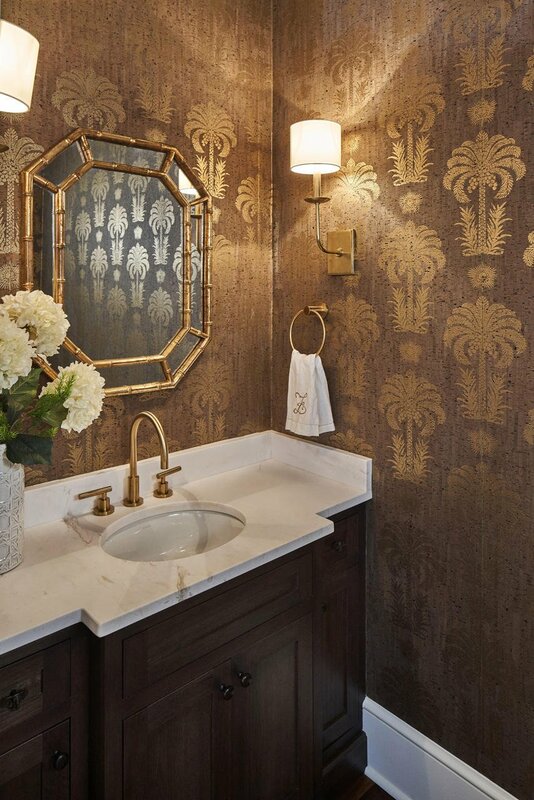 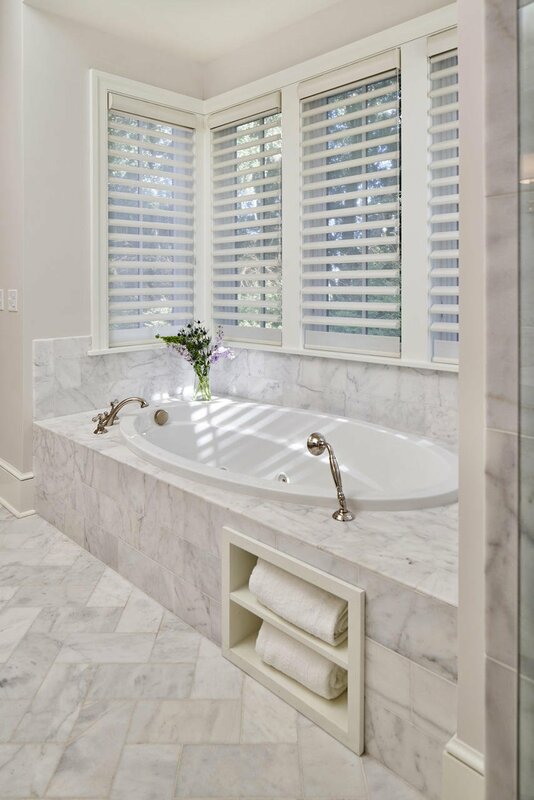 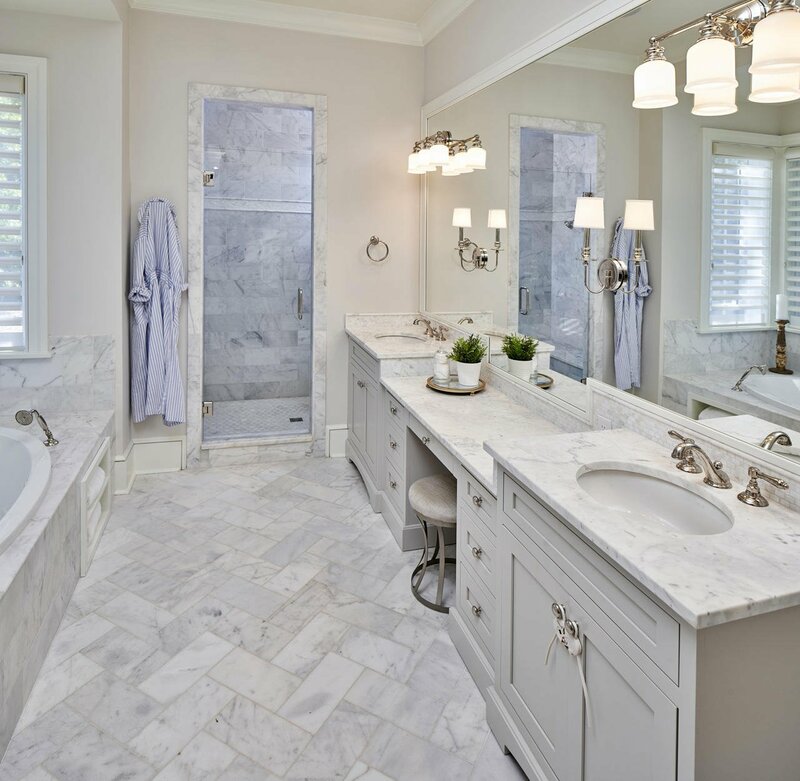 The well-appointed bathroom features marble counters and flooring throughout, dual vanities, jetted-tub, walk-in shower and dressing room closet with custom shelving. 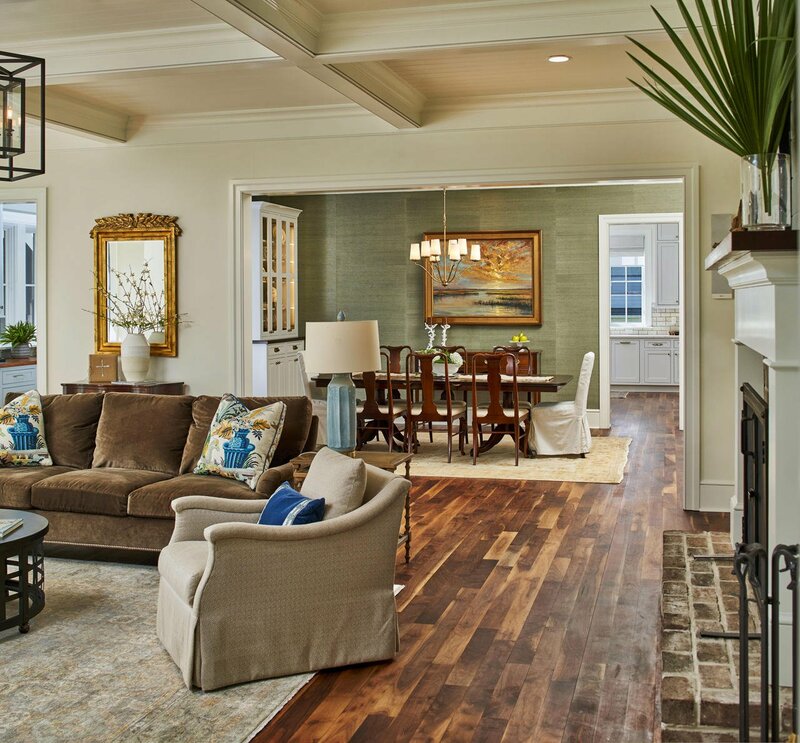 Located on the West side of the home is the study suite equipped with its own wood-burning or gas fireplace. 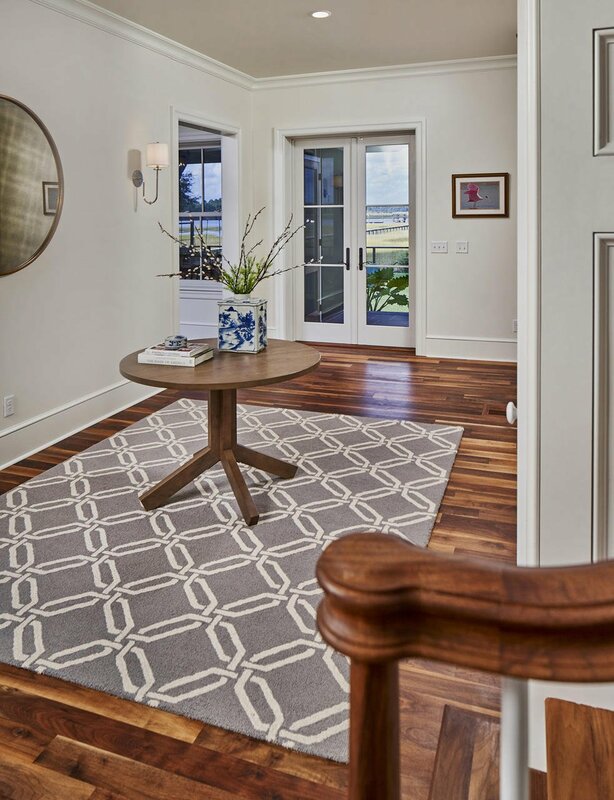 Custom caned cabinets, vaulted ceilings and water views are the ideal location for some seclusion from the world or perfectly suited to meet with clients in the comfort of your home. 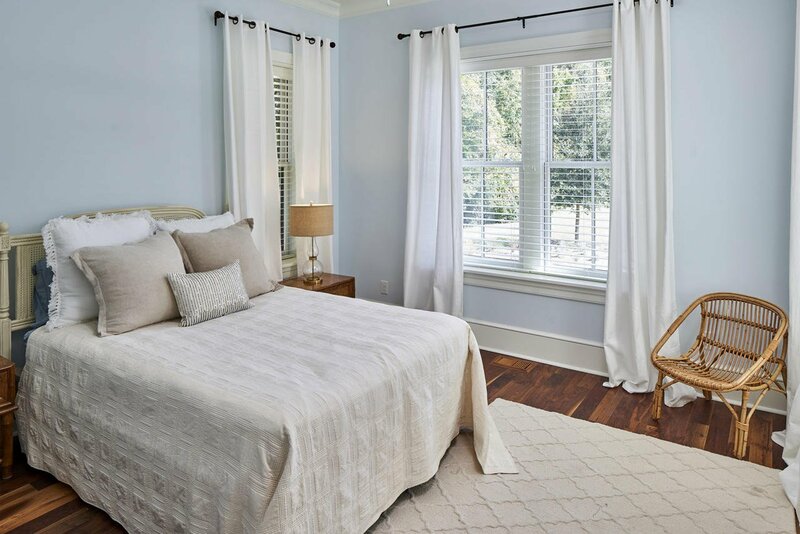 The remainder of the first floor features a guest suite with private bath, two powder rooms on opposite sides of the home and the laundry area with sink and space for an additional full-sized refrigerator. 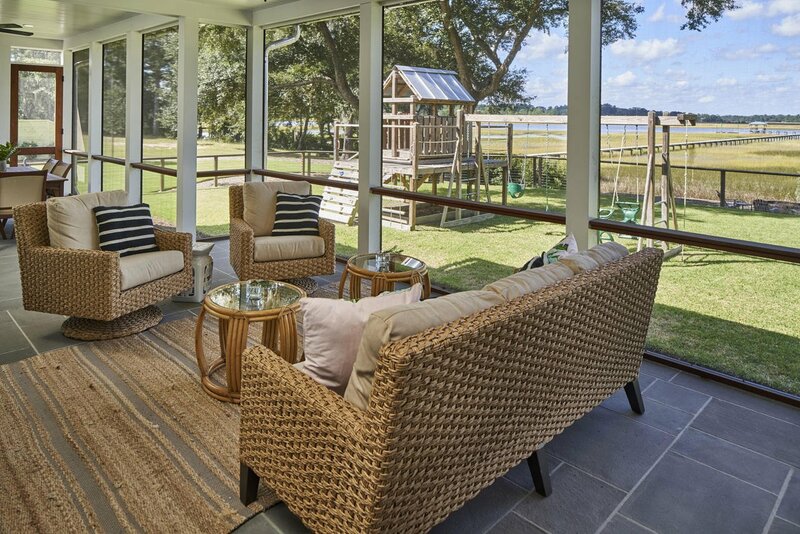 A Lowcountry screened porch spans the back of the home spacious enough for both outdoor living and dining areas. 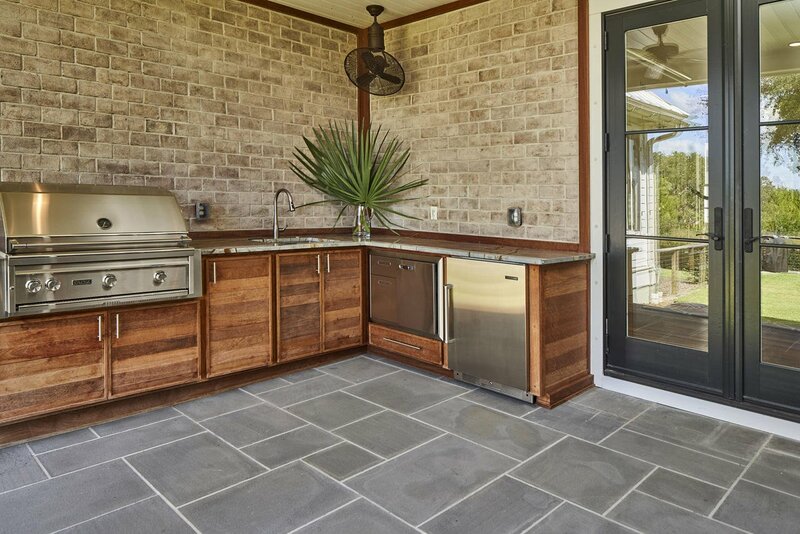 The outdoor kitchen was built for the home chef featuring a Linx gas grill, Sub-Zero refrigerator and custom-built IPE cabinets to withstand the elements. 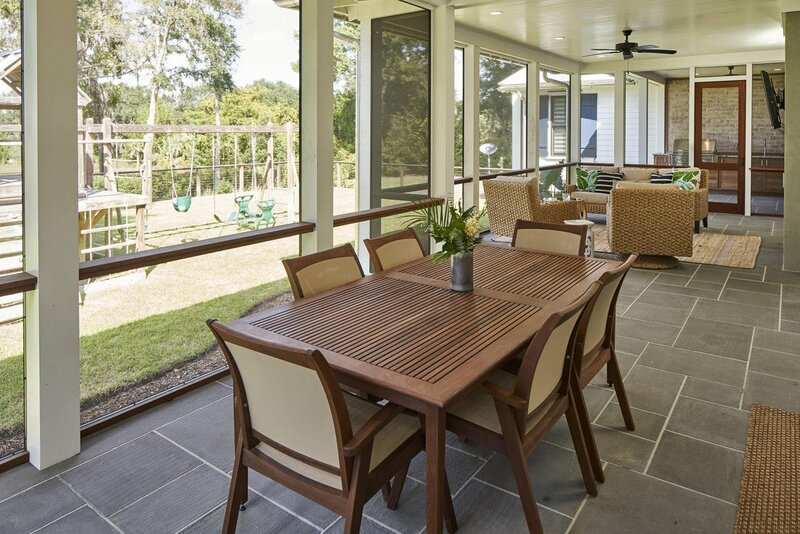 The outdoor terrace is cable wire fencing and was set-up for a future pool area (sketches available upon request). 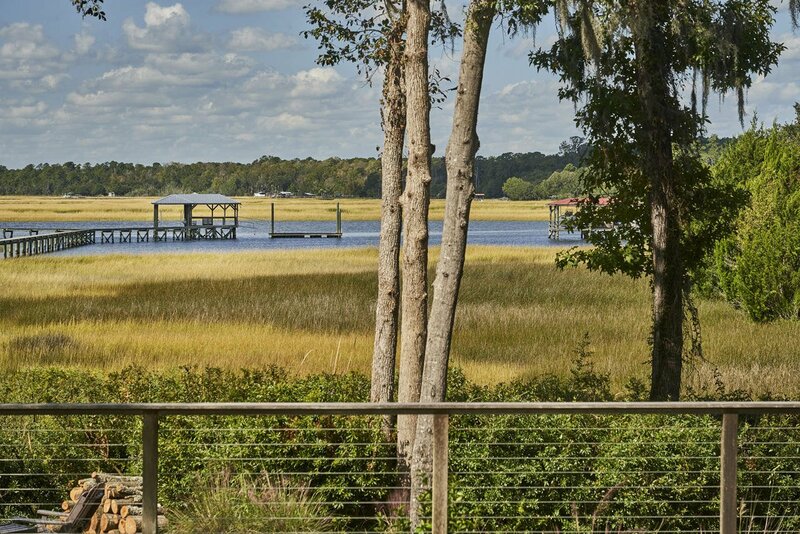 Unobstructed views of the Stono River and the marshes are had from all areas of the porch and outdoor kitchen. 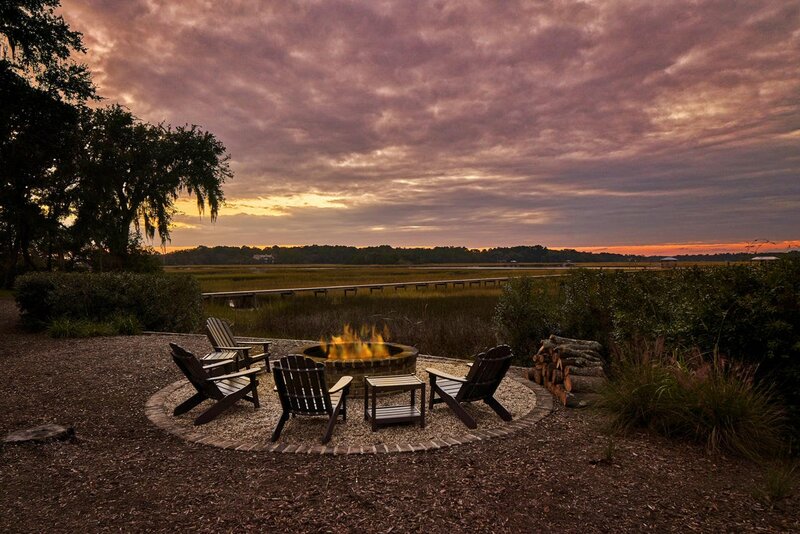 A bricked fire-pit located intimately above the tall marsh grasses. 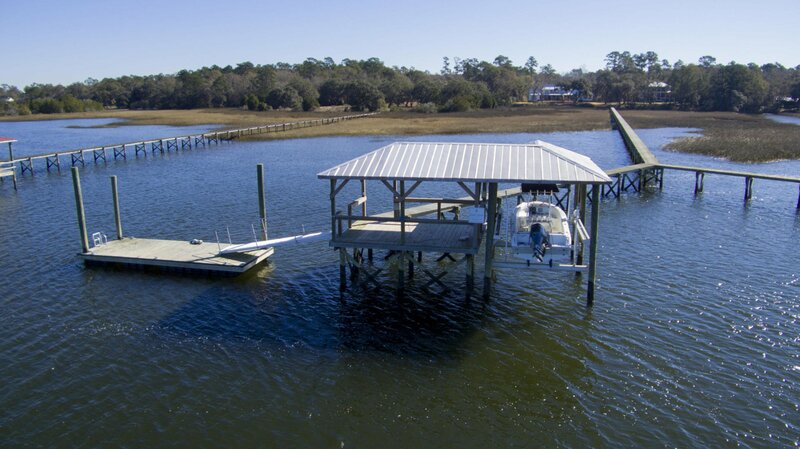 The shared walk-way leads to the private covered pier head with 10,000 lb lift and floater dock. 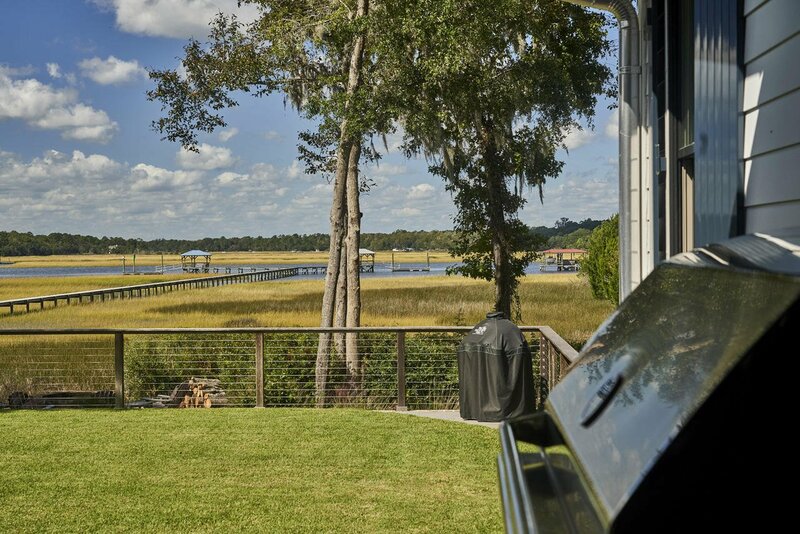 Toss in a pot and enjoy crabs for dinner or legend has it, the honey hole for red stripe fishing is just around the bend. 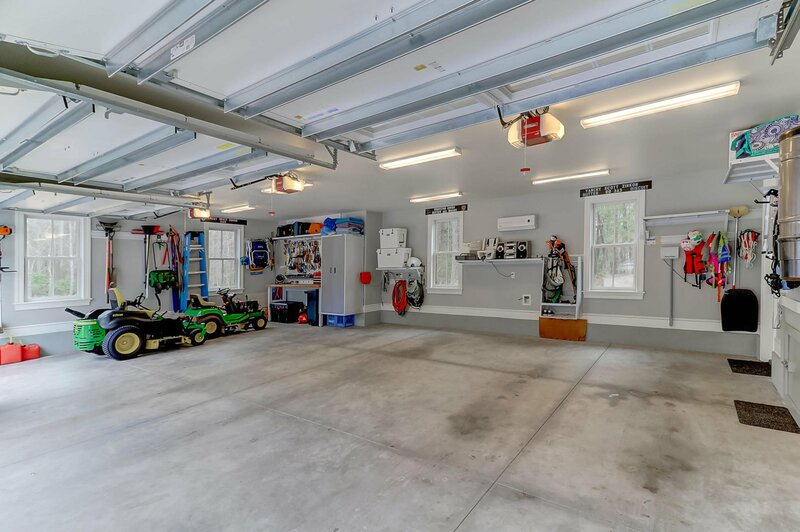 The 3 car garage allows for plenty of parking along with space for the toys needed for this property....mowers, bikes, golf cart, four-wheeler, etc. 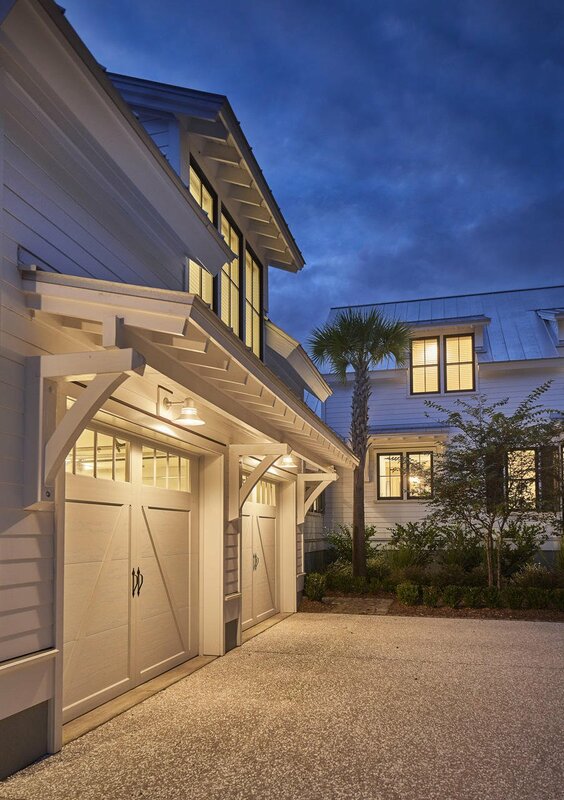 The garage also has a split HVAC unit to condition the space if needed. 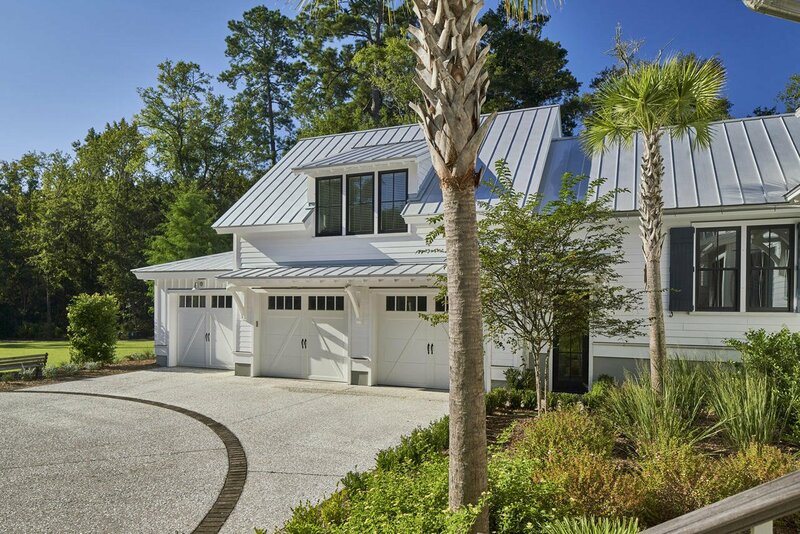 Off the garage is a whole house generator with a 400 AMP transfer switch to ensure power to the entire home. 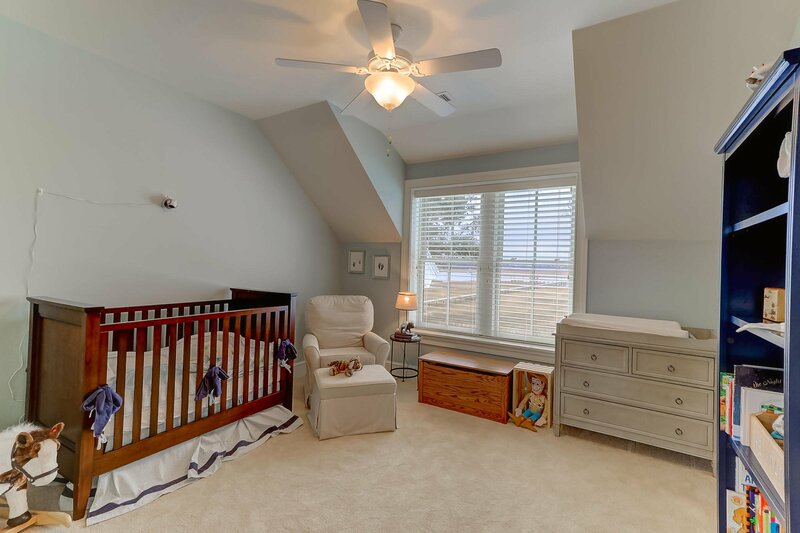 Additional features of the home include: Distributed Audio Sound System throughout the first floor ~ custom security system with state of the art cameras ~ 400 AMP power to the home ~ whole house generator ~ two Navien tankless water heaters ~ high efficiency HVAC system with two whole house ERVs and a dedicated dehumidifier in the crawlspace ~ irrigation system in front & back yard along with a well system for additional areas ~ central vacuum cleaner ~ fresh air dampers on the fireplaces for gas logs or wood burning ~ DuraSupreme cabinetry ~ thermal select bluestone on porches ~ flood insurance of only $450 per year ~ metal roof ~ spray foam insulation ~ ICF construction ~ high end trim details throughout the home and more. 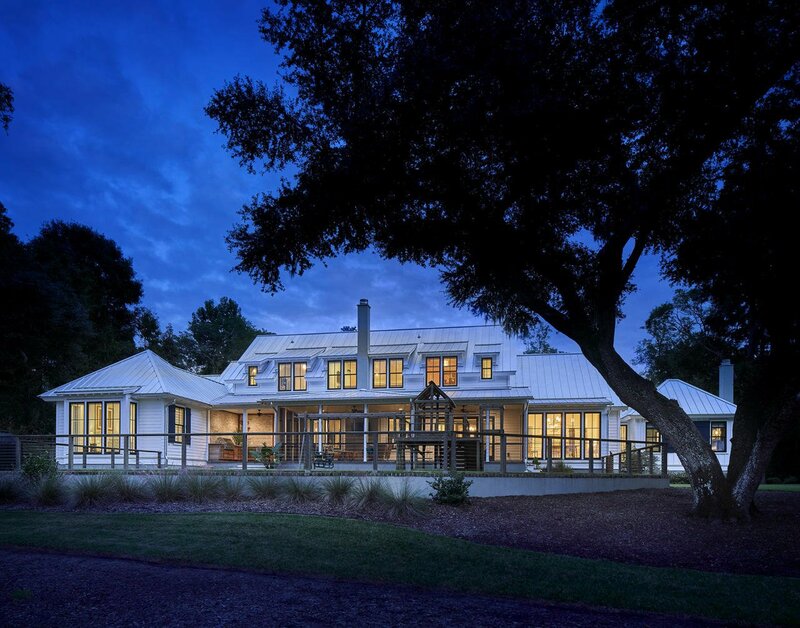 A unique opportunity to spend your days and evenings enjoying exclusive views of the Stono River on 7 acres of peace & serenity all while living inside an expertly designed, superbly constructed, well-appointed, energy efficient home. 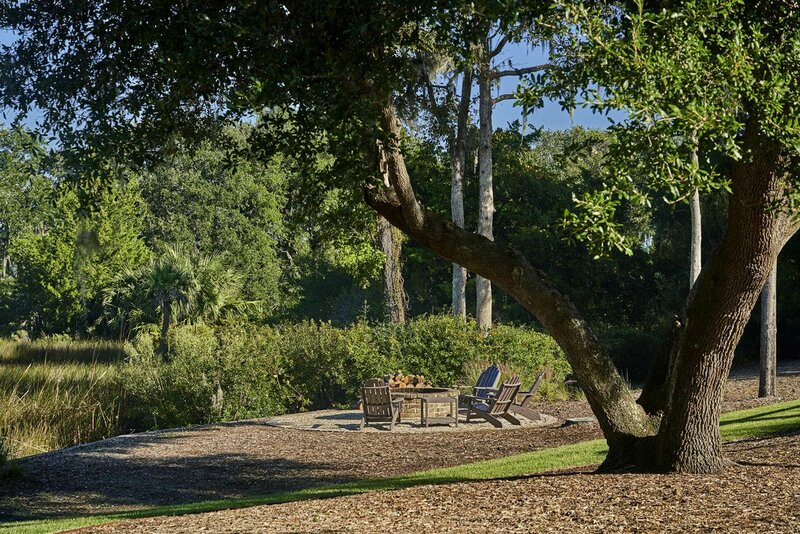 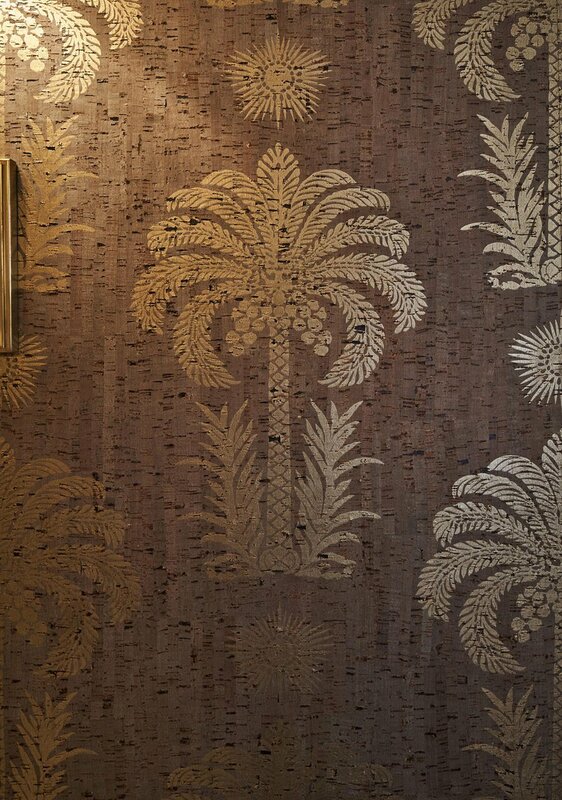 Call your agent today to request a private tour of 3977 Seaboard Way; a once in a lifetime Sea Island Estate.